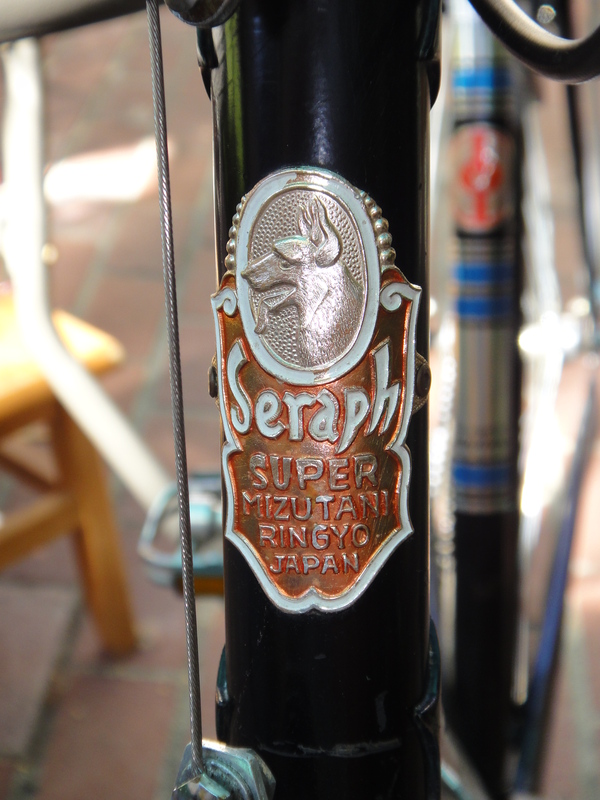 Another case of me falling in love with a frame’s gorgeous head badge, paint and decals and forgetting about such things as weight and quality. This fairly obscure brand probably had good reasons for being obscure. But look at that drooling dog head badge! I built it for my son Gabe but it was geared so high and was so heavy and weak (he bent the chainring!) 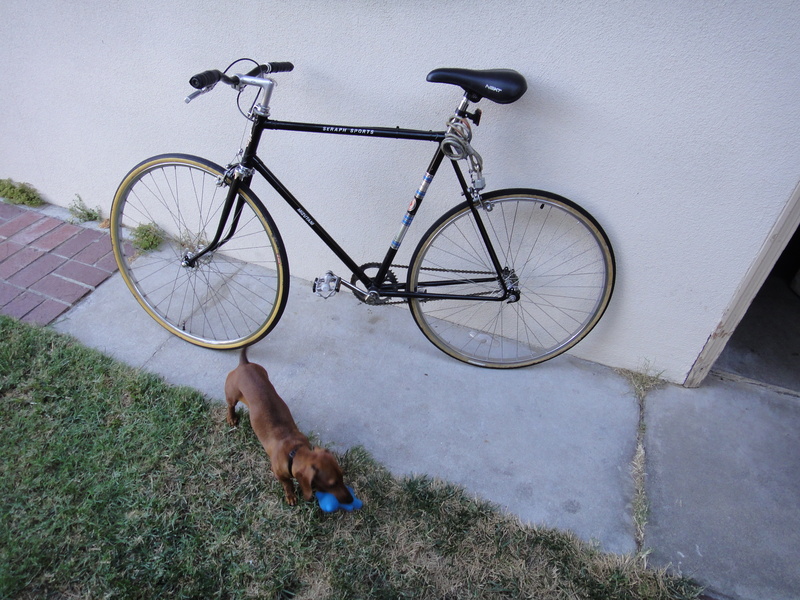 I gave him another bike, stripped off the components and trashed the frame. It was always a singlespeed and never a fixie but, attention whore that I am, I submitted it to Fixed Gear Gallery anyway.